Remember the days when computer software came on a cassette tape? Firstly, I would recommend watching the amateur video review above which features the 800XL keyboard and the 1010 and XC12 cassette drives. You'll also see the uploader browsing through the manual for the 1010 tape drive, and I haven't seen that manual in over 20 years - that really did bring the memories flooding back! I would like to take you back to 1984. As well as a bit of BASIC programming, much of my spare time was devoted to playing games on my Atari 800XL. 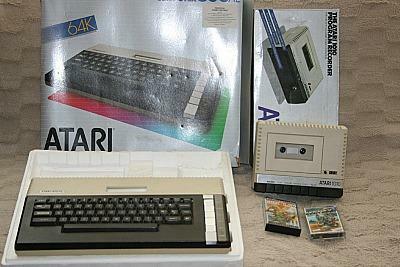 The cassette drive was the most popular and cheapest peripheral for loading software into the majority of 8-bit computers (home computing was an expensive hobby back in the 80s), although the Atari 800XL came with the added bonus of a ROM cartridge slot which allowed you to load games in an instant. I much preferred using the ROM cartridge for loading games, although, of course, you couldn't save your own games to a cartridge and they didn't have enough memory capacity for larger games. 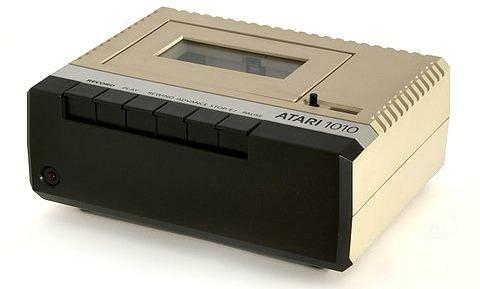 The Atari 1010 was released as a replacement for the 410 drive that was used with the 400/800 computers. 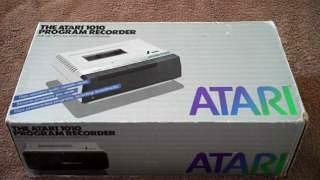 It was pretty bulky and ugly to look at, but was also the sturdiest of all the cassette drives released for the Atari machines. It was certainly more robust than the XC12 tape drive for the later XE models. The 1010 was designed to match the outer casing of the XL computers. This machine gave me my first experience of using a tape drive, although, loading software was painfully slow with some of the largest games taking up to 20 minutes to load! If there was a defect with the cassette (such as a kink in the tape itself) then you had no chance of loading your software. My biggest thrill came from programming my own games and then saving them to cassette. Alternatively, you could type in games from books and magazine listings and save them.